A pidgin is created when two languages mix and simplify in order to facilitate communication between groups that do not have a shared language. Not to be confused with creoles, which we'll leave for another day, pidgins are not native languages in their own right. They are very unlikely to have any native speakers since each group uses their own native language with other group members, so the pidgin is only used when communicating with another party. 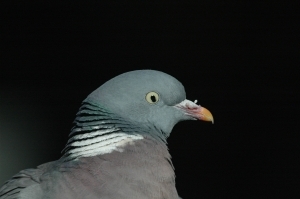 Pidgins are normally used in business and trade situations. Pidgins were common before the coup. Pidgins tend to be simplified and rarely feature any complicated sentence structures and often have tenses which are apparent by the use of a specific word. An example of this is the use of the word will in English to refer to an activity in the future. They also use basic vowels and avoid complicated morphology and irregularities. Their purpose, after all, is to facilitate communication, often to sell things. Some of the most well-known pidgins include Portuñol, points if you worked out that it's a pidgin of Portuguese (português) and Spanish (español). Obviously very clever people named it. Portuñol usually occurs along the Brazilian border where the neighbouring country speaks Spanish. Green is Portuñol... almost inevitable, really. Portuñol also refers to code-switching (the process of changing between one language and another) which can be common amongst speakers of Spanish and Portuguese due to the similarities between these two languages.